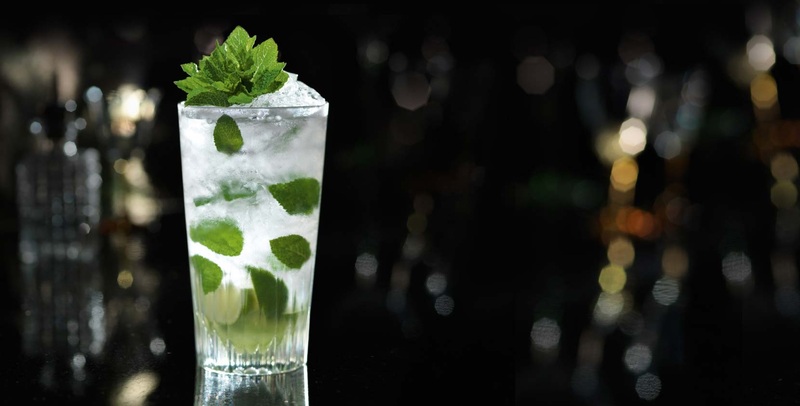 The Mojito is my kind of cocktail – crisp, refreshing and sharp. It is perhaps one of the most popular cocktails and as such has a wide range of variations, from the base alcohol to the juice used to flavour. The traditional version, using white rum, is my personal favourite, but it is one of those drinks that can be adjusted to suit any mood or taste. After chilling a Collins (tall) glass, add the mint and muddle together with the lime juice and sugar – just enough to bruise the mint. I like to add a couple of lime quarters as well for that extra zing. I have seen a couple of basil leaves crushed into this mixture by some bartenders (even cucumber) but perhaps to begin with we should stick to the basics. Fill the glass with crushed ice and add the white rum, topping off with the soda water. Add a couple of sprigs of mint and a straw.